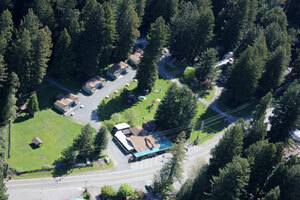 Redcrest Resort is a great place for a relaxing vacation, holiday, romantic getaway or a family reunion. 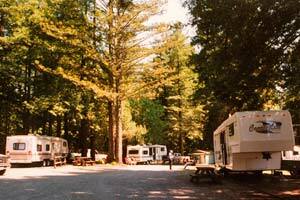 Nestled in the giant redwoods of Northern California, Redcrest Resort offers you the option of staying in one of our cozy cabins, or if you're traveling by RV, you will find our full hookup RV park a beautiful and convenient place to pull off of the road. We offer five 1 bedroom, two 2 bedroom cabins, and one 2 bedroom vacation home which all feature a living room with TV/DVD, kitchen, bathroom with shower, and linens. The fully equipped kitchens include stove, 2 door refrigerator, microwave, toaster, coffee maker, crock pot, dishes, pots, pans and all the utensils you'll need. 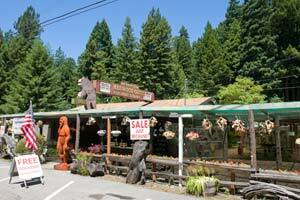 If you just can't resist the outdoors and the wonderful scenery of the towering redwoods, then you might want to use the charcoal BBQ and picnic table that each cabin offers. 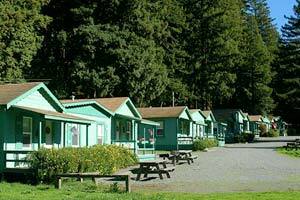 We also offer three 1 room cabins that have a bathroom with shower, linens, TV/DVD, microwave, small refrigerator, coffee maker and picnic table. 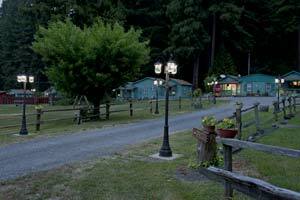 All of our housekeeping cabins have their own private front porch and are surrounded by the majestic redwoods. Our resort features a large playground with ping pong, volleyball, badminton, tetherball, horseshoes, swings, and lots of grass. You can watch your kids play or go play fetch with your dog in the pet play area. Hike the trail to our Walk Thru Tree. 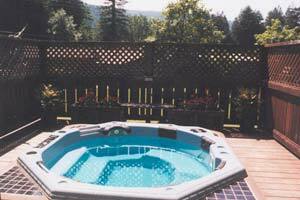 Or just relax in the hot tub and enjoy the clean, fresh air that the redwoods of Humboldt County provide. 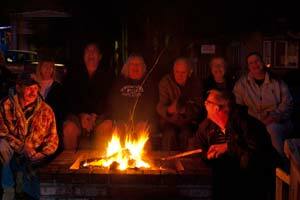 In the evening, gather around the group fire ring and share your day's adventure with your fellow travelers. 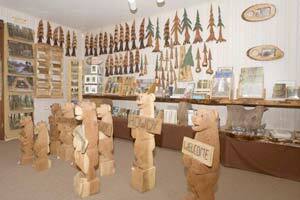 Before you leave the redwoods, be sure to stop in our gift shop for the perfect, and unique souvenir. We will be proud and happy to have you come and enjoy our beautiful and old-fashioned Redcrest Resort. Meet new friends from all around the world. 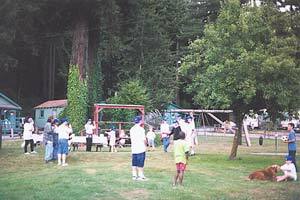 You will think you have stepped back in time in our awesome giant redwood forest. Reservations are recommended. 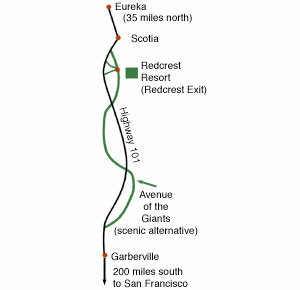 Please call (707) 722-4208 between 9:30 a.m. and 7:00 p.m. (Pacific Time).